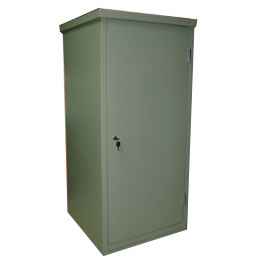 Cabinet is airtight, sound insulation, heat insulation, fireproofing and rust prevention. Easy work. 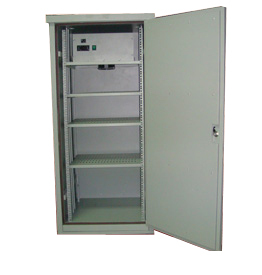 Equipped with digital control cooling and heating instrument, can set inside temperature between 20℃~35℃ as wish. Double SPCC cold rolled steel shell, full fill heat insulation material between the double shell gaps. Energy saving. Below 110w, when the cooling instrument working; below 160w, when the heat instrument working. High efficiency. The cooling instrument can cool down the temperature from 35℃ to 25℃ in two hour, then it will stop working until the temperature exceed to 35℃ again. Also, if the temperature below 0℃, then the heat instrument will work for 10 minutes, then the temperature can up to 10℃.